In designing both the architecture and interiors, DKO created spaces that transition seamlessly to the outdoors. Primary living areas feature kitchens that open out to courtyards and balconies, referencing the indoor-outdoor lifestyle and landscape integration of the Californian beachside mansion. Located on Brighton’s Golden Mile, and close to the beach as well as the leisure centres of Bay street and Church street, Sanctum Brighton appeals to those who want the best of Brighton lifestyle. In designing both the architecture and interiors, DKO created interior spaces that transition seamlessly to the outdoors. Primary living areas feature kitchens that open out to courtyards and balconies, referencing the indoor-outdoor lifestyle and landscape integration of the Californian beachside mansion. The simple, cubist forms of Sanctum further reference mid-Century Modern architects Frank Lloyd Wright and Rudolph Schindler – pioneers of the Californian mansion. The ground floor is a robust, stone-clad monolith. 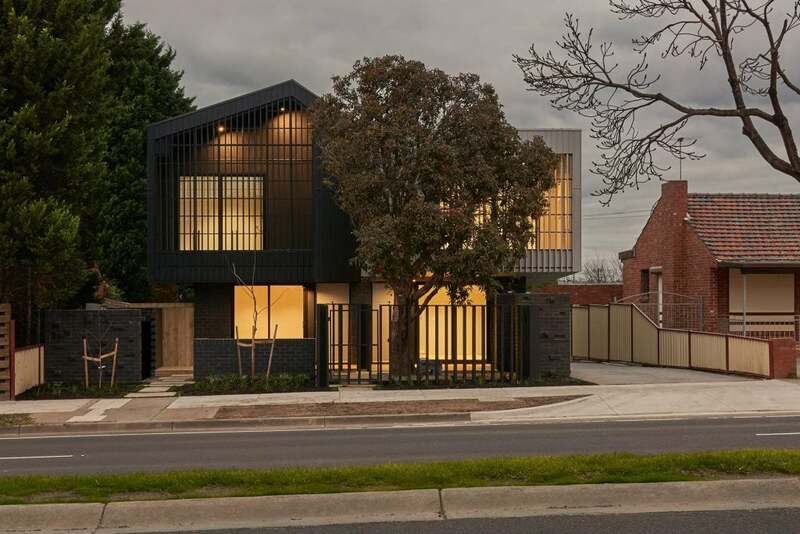 In contrast, the first floor volume soars over the ground, wrapped in a dark timber architectural screening. 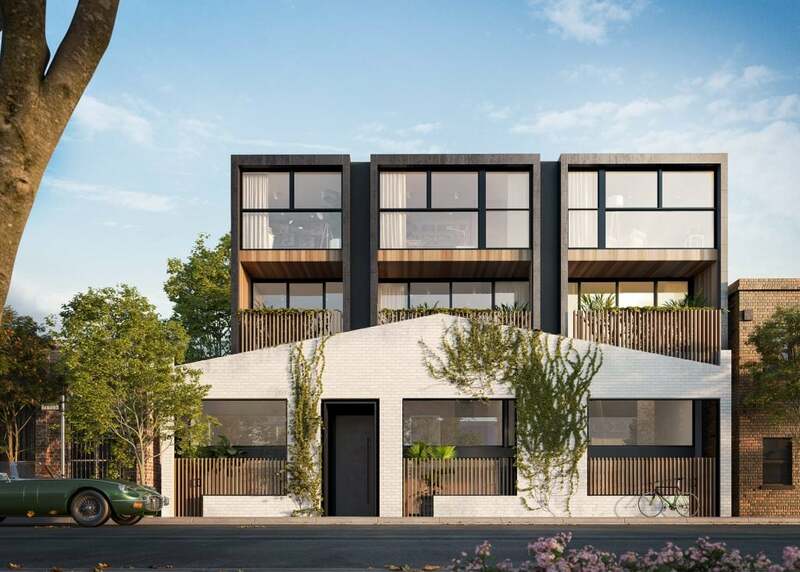 The material palette of dark timber and Melbourne bluestone add an air of sophistication and give these Brighton apartments a strong sense of local history and identity.